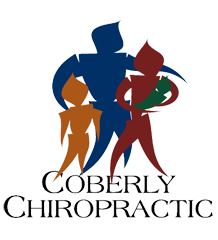 Four Posture Tips Every Chiropractic Patient Can Use – Coberly Chiropractic, Inc.
Good posture is more important than many people realize. Many a mother has followed her child around, reminding him or her to “stand up straight!” Not everyone knows all the reasons that this is important, but they should. 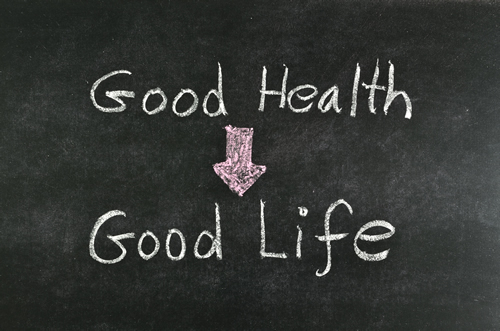 Good posture is essential to good spinal health as well as good overall health. People with good posture sleep better, feel better, and have fewer aches and pains in the joints, back, neck, and head. It helps you have better digestion, improves your organ function, and helps to make your chiropractic treatments even more effective. These top posture tips will help you stand straight and tall while enjoying better health. Being aware of poor posture is the first step in being able to correct it. When you feel your spine starts to curve, your shoulders hunch, or your back sway, stop and take a moment to pull your body back into proper alignment. Pretend that there is a string that goes through your entire body from the top of your head. In your mind, pull that string up, raising your chin slightly so that it is parallel to the floor. Pull your shoulders back and allow your arms to hang naturally at your side. Bend your knees slightly (soft knees) with your feet about shoulder width apart. Tuck in your stomach and roll your pelvis forward so your back is not swayed. Keep your weight mostly on the balls of your feet. Think tall. Take deep breaths and allow yourself to get an idea of what this, good posture, feels like. Using the wall or floor can help you get a feel for how to shift your pelvis. If you have a habit of tilting your pelvis back so that you have a sway back, you need to learn how to roll it forward to get it straight. A person can develop a sway back out of habit, due to injury, or if they carry a lot of abdominal fat. It can cause a great deal of pain and just making the adjustment to straighten your spine will make a tremendous difference. To get the feel for straightening your back, stand flat against a wall. Keep your feet directly under you. Now try to press the small of your back into the wall. Feel how your body shifts as your pelvis rolls forward. Pay attention to that sensation so you can duplicate it without using the wall. You can also do this while lying on your back with your knees slightly bent. Practice arching your back and then pressing it against the floor to get a feel for that motion. Regular exercise and stretching are very important for good posture. What many people don’t realize, though, is that good posture is absolutely vital while you are exercising. This is called “form.” You need to practice good form while you are doing weight bearing exercises, cardio, and stretching. If you don’t it can lead to injury or pain. Your chiropractor can advise you on various exercises and the proper form for them. If you work out at a gym or at home, learn about good form for the exercises that you do. Fitness professionals can help you with this and are well worth the investment. Chiropractic treatments can help correct poor posture, but even if you are working on it yourself it is important to get regular chiropractic care. There are several reasons for this. First, your chiropractor can make adjustments to your spine, providing you with a much wider range of motion and better mobility. Your chiropractor can also recommend exercises for you and show you how to do them properly. If you have weight issues he or she can provide you with advice on diet and lifestyle changes. Taking advantage of the whole body wellness that chiropractic offers will not only improve your posture, it will improve your life.